Those in business know that building relationships and retaining customers is critical to keeping businesses and creating a strong and vibrant community. What are some of the ways a business can create and strengthen these relationships? Celina Peerman of the Peerman Group will address this and more during her upbeat and interactive session, Customer TLC: It’s a Team Thing. Buchanan County Economic Development is excited to have Ms. Peerman back as part of their Lunch and Learn series which will be held Tuesday, April 23, 11:45 a.m. to 1:00 p.m. at the Independence American Legion, 205 2nd St. NE. Lunch will be served promptly at 11:45 with the presentation beginning at 12:05. The focus for this workshop will be on skills that every team member needs to meet and exceed the needs of customers. Tools and tips will reinforce great work already in place and emphasize what every team needs to do to take it to the next level. This is the perfect opportunity to renew your passion for delighting customers and making a difference every day! Celina Peer man, Ph.D. is passionate about behavior at work that distinguishes a company and serves all stakeholders. 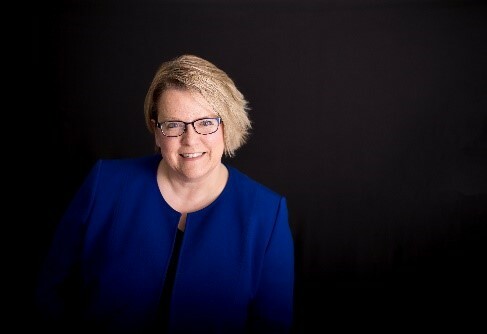 Her work as in HR and as an organizational behavior specialist has allowed her thousands of hours with many Iowa companies that she can apply over 24 years of experience into practical and real-life scenarios. Through a combination of research, a sense of humor and real tools, Celina shares her experience to help drive performance on the job by growing our best resources – people. Deadline to register is noon, Monday, April 22nd. ALL no-shows will be billed $10 for the cost of the meal. Cancellation accepted by noon, Monday, April 22nd. Lunch will be served promptly at 11:45 with the presentation beginning at 12:05. Cost is $10 per attendee. The Lunch is Learn is FREE for Investors in the BCEDC. Pay by credit card: See credit card options at the bottom of this page. Pay with your credit card!